Now that I have signed the last bill of the 92nd General Assembly, the really hard work begins for my administration. Before I talk about the tasks ahead, though, I want to commend the legislators for focusing on the challenges we face as a state. As a result of their work, I signed into law 1,091 bills in the 2019 session. The legislature met for nearly 90 days this year, but that doesn’t tell the entire story. During the session, many legislators worked long into the evenings. They listened to constituents, reviewed the day’s work, and prepared for the next day. The General Assembly wasn’t content to pass just one big-ticket item. Legislators passed a number of key initiatives, and their success is a credit to their willingness to work together and with my administration. The shortlist of highlights is an all-star roster of legislation – juvenile justice reform, additional homestead tax relief, and the $10 million we set aside to support UAMS in the effort to earn a National Cancer Institute designation. Then when we review the big-ticket legislation, the initiatives that I labeled the 4 Ts, it’s hard to imagine another general assembly with more to show for its three months in Little Rock. The accomplishments include a $4,000 raise in the starting pay for teachers over the next four years. That’s one of the Ts. Transportation is another T. The General Assembly passed a highway bill that will produce $95 million a year to pay for upkeep and new construction. Additionally, they passed a bill that will allow voters the opportunity in 2020 to continue a half-cent sales tax that will raise $205 million a year to pay for roads, bridges, and highways that we need in this state. This legislation is historic. We passed the 5.9 Tax Cut Plan that will cut the state’s top income tax rate from the current 6.9 down to 5.9 percent over the next two years. This was the third phase of my three-part tax initiative, which has cut a total of nearly $250 million in income taxes since 2015 without cutting any essential services. But the highest accomplishment was passage of my fourth T, Transformation. Work on the Transformation and Efficiencies Act of 2019 started two years ago with the Transformation Advisory Board. Then we had to pass 16 different bills before we merged them into one 2,047-page bill that we had to pass through both houses. This law, the first effort to reorganize state government in 50 years, cuts the number of cabinet-level agencies from 42 to 15. Now that we have the law in hand, we have to implement it. That’s the tough part. The 15-member transition team, led by Amy Fecher, started work on Monday. Within a month, I expect to name the secretary of each cabinet agency. The slimmed-down, more manageable version of Arkansas state government will open for business on July 1, the start of the new fiscal year. I am fortunate to serve as governor of a state where so many are so willing to seek the best for the entire state for now and far into the future. 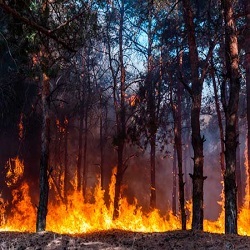 LITTLE ROCK, AR – The Rural Fire Program, managed by the Arkansas Agriculture Department’s Forestry Commission (AFC), received $237,000 from the United States Forest Service to purchase and distribute 79 Wildfire Suppression Kits to statewide volunteer fire departments in 2019. Kits feature equipment and gear necessary for the safe suppression of wildfires and will be delivered to selected volunteer fire departments through May. Volunteer fire departments are the primary partner to AFC crews in wildfire response and suppression but often need the specialized equipment and gear necessary for safe wildfire suppression. Since 2014, more than 300 volunteer fire departments have received Wildfire Suppression Kits through the Rural Fire Program. Kits distributed this year include lightweight wildfire-resistant personal protective equipment, hand rakes, back-pack water pumps, and leaf blowers. Volunteer fire departments interested in participating in the Wildfire Suppression Kit program submit applications that are scored according to specific criteria including fire district population, the size of the response area, wildfire equipment response needs, and other factors. The application period for the 2020 Wildfire Protection Kit program starts in September. Contact Kathryn Mahan-Hooten at Kathryn.Mahan@agriculture.arkansas.gov or (501) 679-3183 with questions or to be added to the Rural Fire Program email distribution list. When we pass legislation to grow our economy, it does not stop at tax incentives and workforce training. In Arkansas, we know our economy can also grow by bringing in people from out of state to appreciate our natural resources, our talents, and our history. The hospitality industry is the second largest industry in the state. It is a $5.6 billion industry and employees over 100,000 people. From encouraging investment in our historic buildings to designating a scenic highway, we passed several pieces of legislation aimed at promoting tourism in the 2019 Regular Session. Act 292 designates certain routes in Central and Southwest Arkansas as the “Camden Expedition Scenic Highway”. The Camden Expedition Scenic Highway guides a Civil War tourist through southern and central Arkansas connecting five battlefields and other Civil War historic sites. Act 601 states that the fourth Saturday in July shall be known as "National Day of the Cowboy" to commemorate America's cowboy heritage. The vaquero spirit of competition among ranch cowboys and cowgirls is reflected in rodeo events throughout the state that contribute to tourism and the economy. Act 546 states that each year before September 1, the Governor shall issue a proclamation proclaiming September 1 Arkansas Music Appreciation Day. Act 812 allows cities in wet counties to pass an ordinance creating a temporary or permanent designated entertainment districts. 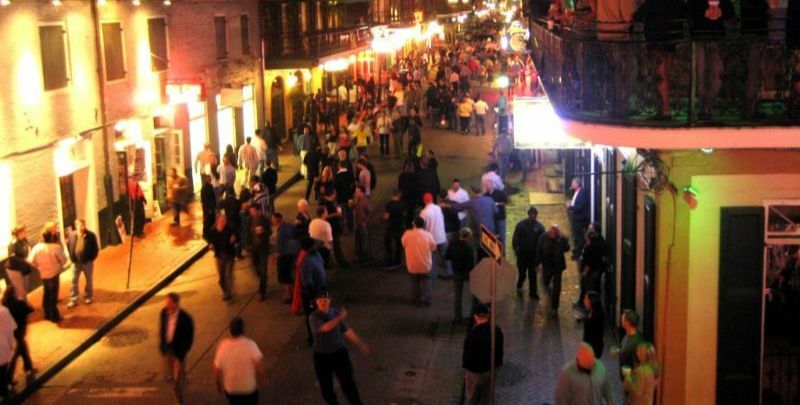 Rules that prohibit a person from possessing an alcoholic beverage outside of an establishment would not apply within a designated entertainment district. Act 671 creates the ATV Tourism and Trail Expansion Study. The purpose of the study is to make recommendations to the General Assembly regarding the creation, development, and implementation of a statewide all-terrain vehicle trails system utilizing existing state roads to connect forest roads and all-terrain vehicle trails in national forests in order to increase all-terrain vehicle tourism and economic development in the state. 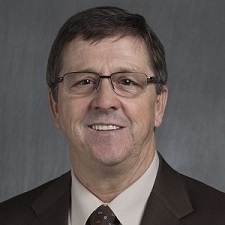 The House and Senate Agriculture, Forestry, and Economic Development Committees will meet to begin the study this year. Act 818 designates Washington, Arkansas as the birthplace of the Bowie Knife, Arkansas Heritage Site. 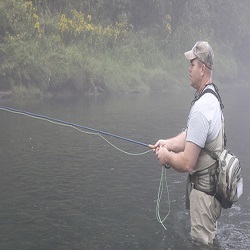 Act 886 authorizes a $5 increase for special permits to trout fish and lifetime trout stamps. The money will be used to make necessary renovations for hatcheries damaged by floods. The trout industry in Arkansas generates an estimated $180 million in revenue every year. Act 855 creates the Arkansas Major Historic Rehabilitation Income Tax Credit Act, creating a tax credit of 25% of the total rehabilitation costs for projects with a minimum investment of $1.5 million. Act 1066 creates the Arkansas Delta Music Commission within the Department of Arkansas Heritage. The commission will develop, implement, and administer a tourism program based on art projects that focus on highlighting music stories and related dynamics on the designated music highways in the state. Music highways in the state include Rock 'n' Roll Highway 67, the Louis Jordan Memorial Highway, the Levon Helm Memorial Highway, the Sister Rosetta Tharpe Memorial Highway, the Americana Music Highway, the Johnny Cash Memorial Highway, and the Delta Rhythm & Bayous Highway. The commission will also create a signage program that captures the stories and points of interest in blues, rock and roll, jazz, rockabilly, soul, hip hop, opera, country, and gospel music throughout the Arkansas Delta. 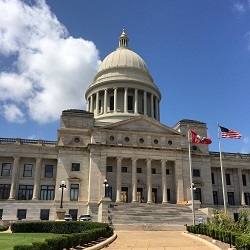 LITTLE ROCK – During the recent regular session, the legislature referred three proposed constitutional amendments to Arkansas voters. One would limit terms of legislators to 12 years. Another would permanently extend a highway program that is now scheduled to expire in 2023. The third would make it more difficult to change the constitution. The proposals will be on the general election ballot in November of 2020. The current half-cent in state sales tax was approved by Arkansas voters in 2012 by a 58 to 42 percent margin. It took effect in 2013 and is scheduled to expire after 10 years. It raised the state sales tax from 6 to 6.5 percent. If extended, the half cent would generate an estimated $293.7 million a year, of which cities and counties each would receive $44 million, and the state Transportation Department would get the remaining $205 million. A second proposed amendment would limit terms of lawmakers to 12 years, although it grandfathers in current office holders. They could serve 16 years, which is the limit under current law. The 12-year limit is consecutive, but not lifetime. That means a lawmaker would have to sit out after serving 12 years, but after a four-year break could run for office again. The third proposed amendment that the legislature put before voters is whether or not to change the process of gathering signatures on petitions to place issues on the ballot. The number of signatures required does not change. The threshold will still be eight percent of the turnout in the most recent gubernatorial election for an initiated act and 10 percent for a constitutional amendment. 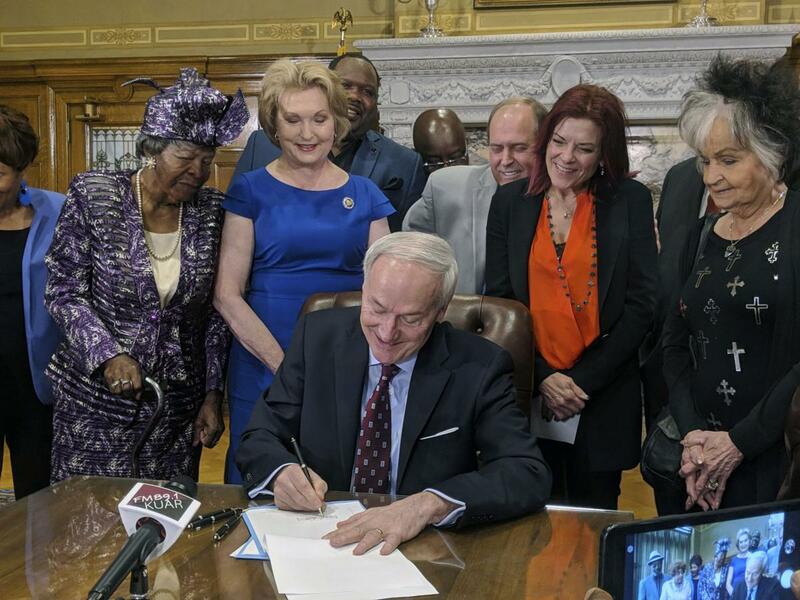 Now, signatures must be gathered from at least 15 counties, and the change would require them to be gathered from at least 45 counties of the 75 counties in Arkansas. If approved, the measure would repeal current provisions that allow an additional 30 days to collect more signatures. Now, if a group submits petitions on which 75 percent of the signatures are valid, it may get a 30-day extension to collect more. The current deadline for submitting signatures is in early July. If changed by voters, the new deadline for filing would be January 15, and any legal challenges would have to be filed by April 15. It also would raise the bar for the legislature, which may refer up to three proposed amendments in every regular session. Now, it takes a simple majority of 51 percent of the Senate and House of Representatives to refer a proposed constitutional amendment to voters. If voters approve the change, it would require a 60 percent majority. Regardless of the outcome of next year’s election, there will be changes in the process of submitting signatures on petitions to change the Constitution through ballot issues. That’s because of the passage earlier this year of Act 376, which changes the entity that will approve proposed ballot titles. It has been the state attorney general, but under Act 376 it will be done by the state Board of Election Commissioners. Petitions with signatures must be presented to the Secretary of State at the same time that the proposed ballot title is presented to the Board of Election Commissioners. Also, Act 376 increases the penalty for petition fraud, from a Class A misdemeanor to a Class D felony. The unwelcome nature of scammers and telemarketers’ frequent, harassing and deceitful calls to our landlines and cell phones is something almost everyone can agree on. It’s time more is done to curb them. The good news is that efforts are underway in our state and on a national level to cut down on these practices that at best are a nuisance, but often turn out to be nefarious schemes to trick hardworking people out of their paychecks or savings. We are all familiar with these calls. They are now the top consumer complaint submitted to the Federal Trade Commission (FTC). Many are automated and offer an unearned, unsolicited and seemingly too-good-to-be-true award. Others turn out to be from a real person who, within a few moments, begins attempting to collect on debts you are alleged to owe to government agencies or private businesses. What’s worse is that sometimes these calls are made to seem more legitimate even before you answer them by using “spoofing” technology which causes the caller ID service on our devices to show that the incoming call appears to be coming from a local or familiar number. Unfortunately, these unwanted calls continue to occur and are increasing. It’s easy to see how much of a risk they pose to unsuspecting people, particularly the elderly or those who might be convinced to act quickly and render some form of payment in order to settle a debt or assist a loved one they fear might be in danger or in need. A Little Rock-based company, First Orion, predicts that nearly half of all cellphone calls in 2019 will come from scammers. Call-blocking company YouMail projects that last month over five billion robocalls were placed, including 60 million in Arkansas. The United States Senate Committee on Commerce, Science and Transportation has recently passed legislation, which I have cosponsored, to combat annoying, illegal and abusive robocalls. The Telephone Robocall Abuse Criminal Enforcement and Deterrence (TRACED) Act is a bipartisan bill that seeks to mobilize the federal government to more aggressively prevent these calls and punish the culprits. It would increase the statute of limitations for regulators to pursue investigations and take legal action as well as allow the Federal Communications Commission (FCC) to levy fines without first issuing a legal warning. Additionally, the TRACED Act will prod carriers to implement new technology to verify if a call comes from a real number while also seeking to bring agencies like the FTC, FCC, Department of Justice and state attorneys general together to work on ways to tackle this issue. Our state is also leading efforts to stop unwanted calls to Arkansans. 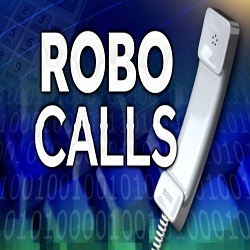 The state legislature recently passed and the governor signed legislation raising the penalty for illegal robocalls from a misdemeanor to a felony as well as making spoofing a felony. The law requires telecom companies to report annually to the state Public Service Commission on steps they take to identify and block illegal robocalls. Pulling the plug on robocalls and scammers is common sense. Their manipulative, harassing practices are unwarranted and, in many cases, illegal. I will continue to advocate for solutions and enforcement of existing laws so that Arkansans and citizens across the country do not continue being hassled, badgered and even defrauded by these illegitimate actors. 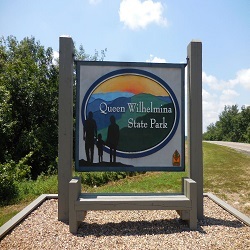 Upcoming activities at Queen Wilhelmina State Park near Mena, Arkansas. Reservoir Hike 2:00 pm 1 hour Reservoir Trailhead Join Park Interpreter Melissa on a hike to what used to be the old water system for the 1898 hotel. Champion Trees 5:00 pm 30 min Hearth Room Do you ever wonder what the largest tree of it species are called? Join Park Interpreter Melissa and she will talk about the Champion Trees in Arkansas and where their located. Arkansas Symbols 7:00 pm 30 min Hearth Room Do you know the symbols of Arkansas? Join Park Interpreter Melissa and find out our state drink, cooking vessel, bird and much more! Wonder House Tour 2:00 pm 30 min Wonder House Do you ever wonder what the Wonder House is about? Join Park Interpreter Melissa and step back into history to see one of the first vacation homes built in the 1930’s. Dutch Oven Demonstration 4:00 pm 1 hour Picnic Area Are you in need of a tasty treat for this week? Stop by Queen Wilhelmina picnic area to find out how much better dessert is cooked over a fire! Park Interpreter Melissa will be using the state vessel – a Dutch oven – to cook-up a simple and delicious dessert. Come by for a taste. Slithering Snakes 7:00 pm 30 min Hearth Room What type of snake slither over the forest floor at Queen Wilhelmina? Join Park Interpreter Melissa to learn a few of the venomous and nonvenomous snakes we have here at Queen Wilhelmina. Bird Watching 9:00 am 1 hour North side of Lovers Leap Whether you’re a beginner or pro at birding, join park interpreter Melissa as we hike to the observation deck. We will be watching for birds along the way. Bring your binoculars and we will see how many birds we can identify. Edible Insects 3:00 pm 30 min Hearth Room Are eating bugs a real thing? Join park interpreter Melissa and see who really eats bugs. If you’re brave enough you can join the “I Ate A Bug Club!” Bring your appetite and take a bite, or come and watch! Arkansas Symbols 5:00 pm 30 min Hearth Room Do you know the symbols of Arkansas? Join Park Interpreter Melissa and find out our state drink, cooking vessel, bird and much more! Sunset Hike 7:45 pm 30 min Beside Telescopes Join Park Interpreter Melissa, for an easy stroll to watch the sunset. Feel free to bring your camera to take photos of this beautiful view. Critter Signs & Tracks 4:00 pm 30 min Amphitheater Do you know what animals eat or where they get their food? Join Park Interpreter Melissa on a short hike to look for critter signs and track to see what is eaten for food. Champion Trees 7:00 pm 30 min Hearth Room Do you ever wonder what the largest tree of it species are called? Join Park Interpreter Melissa and she will talk about the Champion Trees in Arkansas and where their located. For more information about these activities at QWSP, or the park, call (479) 394-2863 or 394-2864. You can also learn about the park by visiting their website. During a ceremony in the governor’s office Wednesday, Gov. 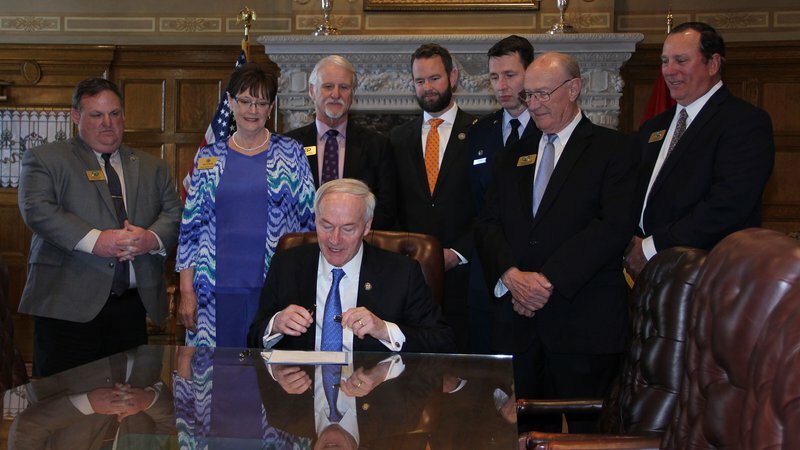 Asa Hutchinson signed Senate Bill 397. The bill creates an Arkansas Game and Fish Commission resident disabled veterans license that includes a lifetime combination hunting and fishing license, a lifetime Arkansas duck stamp and an Arkansas trout stamp. AGFC Director Pat Fitts said the license will double the reach of eligible recipients to over 14,000 disabled veterans. “It also lowers the threshold from 100 percent disable to 70 percent disabled,” Fitts said. 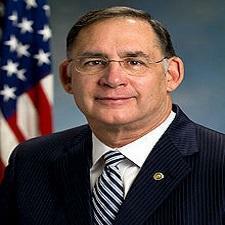 “We did work very closely with the Veterans Affairs office on this bill and while we can never fully repay our disabled veterans for what they have given this country, we can say ‘thank you’ by offering this lifetime license,” he added. 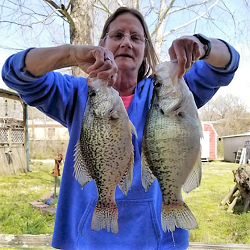 This is the Arkansas Game and Fish Commission’s fishing report for April 17, 2019. If there is a body of water you would like included in this report, please email AGFCfishingreport@outlook.com with information on possible sources for reports about that lake or river. Reports are updated weekly, although some reports might be published for two weeks if updates are not received promptly or if reporters say conditions haven’t changed. Contact the reporter for the lake or stream you plan to fish for current news. State of Arkansas Vs. Robert W. Williams, W/M, age 51, Count I: Possession Of A Schedule II Controlled Substance, a Class "D" Felony. Count II: Possession Of Drug Paraphernalia, a Class "D" Felony. Count III: Possession Of Controlled Substance, Oxycodone, a Class "D" Felony. Count IV: Possession Of A Schedule VI Controlled Substance With Purpose To deliver, Marijuana, a Class "D" Felony. 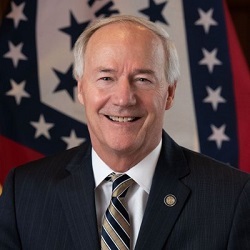 The State of Arkansas notified the defendant that it intends to pursue enhanced penalties pursuant to Arkansas Code Annotated 5-4-501 due to the fact that he has been convicted of more than one (1) felony but fewer than four (4) felonies. State of Arkansas Vs. Michelle Hogan, W/F, age 37, Count I: Possession Of Drug Paraphernalia, a Class "D" Felony. Count II: Driving On suspended License, an Unclassified Misdemeanor. Law enforcement agencies across six states will increase patrol officer presence on roads and highways beginning later this week as part of a regional plan aimed to reduce incidents of drug impaired driving. Beginning Friday (April 19th) and continuing through Saturday, local police, sheriff’s deputies and highway patrol troopers in Arkansas, Iowa, Kansas, Missouri, Nebraska and Oklahoma will concentrate patrols directed toward an effort to stop drivers who are impaired by drugs. Impaired driving is illegal in all 50 states, Puerto Rico and Washington, D.C. Regardless of how a driver may come to be in possession of drugs, whether the substance is prescribed or illegal to possess; driving while impaired by drugs creates a safety threat to the driver, vehicle passengers and others traveling on public roadways. Almost all illegal drugs and many prescription drugs can slow the reaction time of a driver who must be alert and in control of the vehicle. Just like alcohol, drugs make it more difficult for drivers to keep a steady position in their traffic lane. It doesn’t matter what term is used to describe the impairment; if a driver is high, stoned, wasted or drunk, the individual is impaired. Driving while impaired by any substance is illegal and can be deadly. “Our goal is to save lives and we’re putting all drivers on notice that drug impaired driving is against the law,” said Colonel Bryant. Lear more about the dangers of drug impaired driving at Traffic Safety Marketing, https://www.trafficsafetymarketing.gov. Two Polk County Quorum Court Committees met Tuesday, April 16th. The Salary and Personnel Committee chaired by JP Harold Coogan met at 5:00 p.m. to discuss raises for county employees. 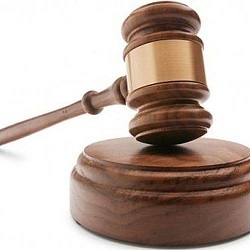 The committee voted to recommend to the full Quorum Court at the next regular meeting, which will me April 23rd, that all county employees and elected officials, excepting Justices of the Peace, be given a $1,200.00 annual raise, or $100.00 a month. 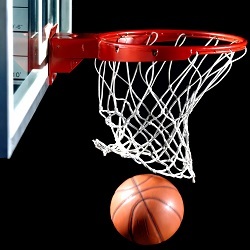 The raise, if approved by the full Court, will be retroactive to January 1st. At 6:00 p.m. the Health and Sanitation Committee chaired by JP Basil Kesterson met to take up business assigned to them last month when the full Court was unable to come to a resolution to handle the cadaver cooler problem that recently surfaced when the County Coroner, Brian Bowser, requested that the cooler be relocated to his place of business, Bowser Family Funeral Home. The cooler has been located at Beasley Wood Funeral Home since the county purchased it in 2007, at which time the manager of Beasley Wood was the Coroner. In an opinion by the Arkansas Attorney General in 2012, Coroners are legally responsible for maintaining custody of human remains. After lengthy discussion about the existing arrangement and the need for the Coroner to maintain custody of bodies to preserve evidence, it was decided by the committee to have the cooler appraised and then sell it to the high bidder in a sealed bid sale. Proceeds from the sale of the cooler will be used, if required, to purchase a more portable cooler for the use of the Coroner for official coroner use only. The cadaver cooler was purchased used in 2007 for $4,000.00. The county is in possession of a refrigerated mass casualty trailer that is owned by ADEM (Arkansas Department of Emergency Management), that could be used in the event of a disaster. The trailer is not for the exclusive use of Polk County and could be sent to neighboring counties if needed. The City of Mena invites citizens and other interested persons to a drop-in Public Meeting at City Fire Station No. 2 located at 1100 Mena Street on Thursday, May 9, 2019, from 4:30 p.m. until 6:30 p.m. The purpose of the meeting is to identify potential outdoor park and recreation needs and priorities. Following the identification process, city officials will select those priorities to be submitted to the Arkansas Department of Parks and Tourism for an Outdoor Recreation Matching Grant application. Ethnic minorities, persons with disabilities, senior citizens, and special interest groups are encouraged to attend and participate. Please make plans to drop in and share your thoughts! 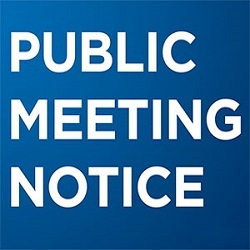 For those unable to attend the meeting, you may phone (479) 394-3141. Written comments may be submitted to City of Mena, 520 Mena Street, Mena, Arkansas 71953. Mena city offices will be closed Friday, April 19th, in observance of Good Friday. When the tornado siren sounds, or your NOAA Weather Radio advises there is a tornado warning for your community, where will you take shelter? Some have safe rooms or storm shelters. If you don't, and have time to safely get to one of the shelters open to the public, here is a list. 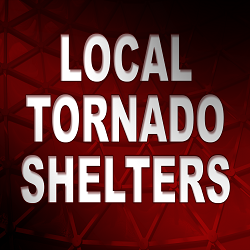 The shelters listed above will automatically open when the local tornado sirens are activated, according to Polk County Office of Emergency Management Director Kris Lyle. Lyle also pointed out that pets are not allowed in the shelters. 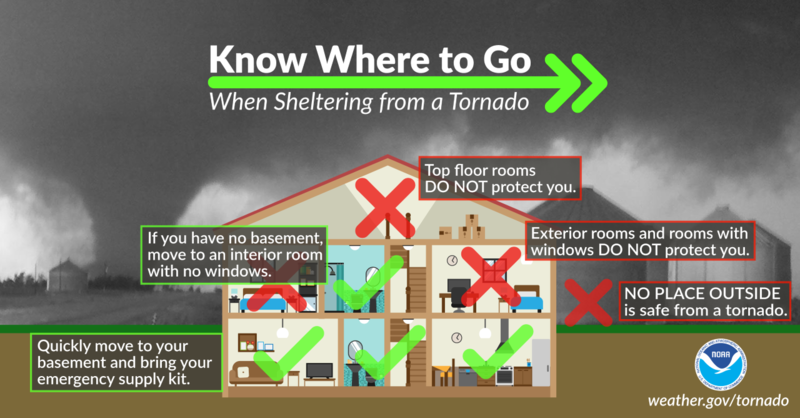 If you are forced to shelter in place, see the graphic below for some dos and don'ts. Having as much advance notice as possible is very important, so if you don't already, consider buying a NOAA Weather Alert Radio. Keep fresh backup batteries in your NOAA Weather Radio so it will warn you even if the electricity is off. When a "Tornado Watch" is issued, pay close attention to the weather radio since a "tornado watch" means that conditions are favorable for the development of a tornado. A "Tornado Warning" means there has been a sighting by a trained spotter or law enforcement officer, or a tornado is radar indicated. When "Tornado Warnings" are issued, take cover! KAWX streams the Mena NOAA Weather Radio station and provides a free app. The stream and app are not intended to replace actual NOAA Weather Radios with alerting capabilities. To listen to the stream on your PC, click anywhere on this line. The free "Mena Weather Radio" app can be downloaded from the App Store or Google Play. Finally, have a Severe Weather Plan. Keep phones charged, flashlights handy, and important numbers where you can find them. Portable AM-FM radio that operate on batteries and police scanners are also very good sources for information before, during and after severe weather. April and May are the traditional "severe weather" months for Arkansas, so stay weather aware! The following information was received from Polk County Sheriff Scott Sawyer for the week of April 8 - April 14, 2019. The charges against those arrested are allegations and the cases are still pending in the courts. Individuals charged and whose names appear in this column may submit documentation to us at a later date that the charges have been dismissed or that they have been found innocent and we will include that information in this space in a timely manner. Report from complainant on Forest Lane in Vandervoort of problems with a contractor he had hired. Deputy advised that matter was a civil issue. Report from complainant on Polk 36 near Hatfield of being dog bit. Deputy responded. Arrested was Karson B. Crawford, 26, of Mena, on a Warrant for Bond Revocation. Arrested was David M Fraser, 30, of Mena, on a Warrant for Violation of Suspended Imposition of Sentence. Arrested was Samantha E. Coleman, 26, of Mena, on Warrants for Forgery 2nd Degree, Criminal Trespass and two counts of Theft of Property. Report from complainant on Polk 48 near Potter of damage done to a sign. Investigation continues. Report from complainant on Polk 129 near Rocky of damage done to a vehicle. Deputy responded. Report of a vehicle on fire on Highway 88 East near Mena. Deputy responded. Report from complainant on Highway 71 South near Hatfield of a forged signature. Investigation continues. Arrested was Joseph J. Davis, 40, of Mena, on a Warrant for Fraudulent Use of a Credit Card. Report of neglect of animals on Polk 22 near Cove. Deputy responded. Arrested was Jamie F. Beckwith, 27, of Mena, on Charges of Possession of Schedule I/II Controlled Substance, Possession of Controlled Substance and Possession of Drug Paraphernalia. Arrested was Phillip A. Lowery, 43, of Spiro, OK, on Charges of two counts of Theft of Property. Report from a Mena man of a missing family member. Investigation continues. Report from complainant on Polk 20 near Cove of the break-in and theft of equipment valued at $220.00. Investigation continues. Report from complainant on Lil George Lane near Yocana of an abandoned vehicle on their property, and the theft of two batteries, valued at $100.00. Investigation continues. Report from complainant on Highway 375 East near Mena of damage done to a parked vehicle. Investigation continues. Traffic stop on Polk 63 near Yocana led to the arrest of Michelle L. Hogan, 37, of Mena, on Charges of Driving with a Suspended Driver’s License and Possession of Drug Paraphernalia. Report from complainant on Polk 48 near Potter of trash illegally dumped on their property. Investigation continues. Arrested was Michael E. Trivette, 27, of Mena, on a Warrant for a Parole Hold. Report from complainant on West Dover Street in Hatfield of their dog being attacked by other dogs. Deputy responded. Report from complainant on Highway 71 South near Cove of damage done to a vehicle at an unknown time. Investigation continues. Traffic stop on School Street in Cove led to the arrest of Cody D. Dees, 33, of Hatfield, on two Warrants for Failure to Comply with a Court Order. Also arrested was Matthew B Parnell, 26, of Cove, on two Warrants for Failure to Comply with a Court Order. Report from complainant on Highway 246 West near Hatfield of an unknown vehicle parked in their yard led to the arrest of Amos M. Miller, 40, of Mena, on a Charge of Public Intoxication. Report of a domestic disturbance on Highway 88 East near Yocana. Deputy responded. Information has been forwarded to the Prosecuting Attorney’s Office for further consideration. Polk County Detention Center Jail Population: 18 Incarcerated Inmates, with 4 Inmates currently on the Waiting List for a State Facility. A local woman reported she is being harassed by an acquaintance. No charges have been filed. Jazzmyn Hoskin, 21, of Grannis was charged with shoplifting after officers responded to a call at a local retail store. Melanie Howard, 46, and William Howard, 47, both of Boles, were charged with shoplifting after a call to a local business. A 40-year-old Hatfield woman reported that someone had stolen prescription drugs from her. Case is pending. Michelle Huff, 43, of Mena was charged with shoplifting after a call from a local retailer. She was also served an outstanding warrant from the Mena Police Department for failure to pay fines and court costs. Sarah Mitchell, 25, of Mena was arrested on an outstanding warrant. The incident happened after officers had responded to a call in a local neighborhood regarding having issues with a neighbor. Officers went to a local residence after an acquaintance had called to ask that the police check on the welfare of the resident. The woman was located, and was not in peril. Report was made of someone breaking a window in a vacant building in Mena. No suspects at this time. A Mena woman reported that someone had damaged her mailbox. No suspects at this time. A local woman reported that someone had broken a window in a property she owns. No suspects at this time. David Sinyard, 43, of Mena was charged with inhaling intoxicants after officers responded to a call concerning a man who would not leave his property. He was additionally served four outstanding warrants from the Mena Police Department. Alan Bryan Cox, 47, of Cove was charged with shoplifting. The arrest followed a call to a local retail store. Officers responded to a call from a Mena woman requesting they check the welfare of a dog in her neighborhood. The dog’s owner was advised to provide more adequate shelter. Case was referred to the animal control officer. The Acorn high School Music Department recently held a talent contest to raise money for the Cherie and Michael Magness family. Valerie Couch, the Acorn Band and Choir Director, reported that close to $800.oo was raised to help the family with medical expenses. Winners of the Middle School Division: 1st Place Dane Richardson, 2nd Place Kaelin Harding, and 3rd Place Hannah Woodard. Winners of the High School Division: 1st Place Jeb Wilborg, 2nd Place Tessa Kesterson, 3rd place Halli Holland. 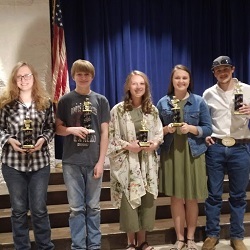 Pictured left to right: Hannah Woodard, Kaelin Harding, Dane Richardson, Halli Holland, Tessa Kesterson, and Jeb Wilborg. 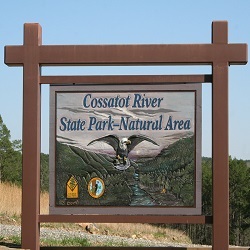 For more information about any of these activities at Cossatot River State Park-Natural Area near Wickes, or about the park, call (870) 385-2201. Click anywhere on this line for directions to the park. 9:00 a.m. – 4:00 p.m. Guided Kayak Tour (7 hours) A park interpreter will be your guide on this fun-filled trip down the beautiful Cossatot River! Kayak adventure tours are designed for beginners, but all ability levels are welcome. The park provides kayaks, paddles, helmets, and life jackets. Transportation to and from the Park Visitor Center is provided at no additional cost. 10:45 a.m. – 11:45 a.m. Worm’s the Word (1 hour) Without worms, we’d all go hungry! Meet a park interpreter to discover the vital role these often overlooked critters play in our survival. Meeting Place: Cossatot Falls’ Parking Lot. 2:30 p.m. – 3:30 p.m. What’s for Dinner? (1 hour) What’s an owl’s favorite food? Owl show you! Join a park interpreter as you dig in and uncover the answers for yourself. Meeting Place: Low Water Bridge below Visitor Center. 10:00 a.m. – 11:00 a.m. Power Plants (1 hour) From medicine to food, plants are a powerhouse! Join a park interpreter and explore the many uses of plants at Cossatot River State Park –Natural Area. 2:00 p.m. – 3:00 p.m. Feed the Critters (1 hour) It’s dinner time and the critters are hungry! Come and watch them eat and learn about the animals here at Cossatot River State Park-Natural Area. 3:30 p.m. – 4:30 p.m. Wildflower Walk (1 hour 30 mins.) Come to the Cossatot River State Park and enjoy the beauty of spring wildflowers with a park interpreter. Many of these wildflowers are unique to the area, occurring only in the Ouachita Mountains. 9:00 a.m. – 4:00 p.m. Guided Kayak Tour (7 hours) A park interpreter will be your guide on this fun-filled trip down the beautiful Cossatot River! Kayak adventure tours are designed for beginners, but all ability levels are welcome. The park provides kayaks, paddles, helmets and life jackets. Transportation to and from the Park Visitor Center is provided at no additional cost. 10:45 a.m. – 11:45 a.m. Clue in to Cossatot (varies) Stay for a minute or an hour –it’s up to you. Each time slot offers a different adventure just waiting to be discovered! Will it be snorkeling? skins and skulls? marvelous macros? nature crafts? Clue in and find out! All activities are free and open to all ages. Find a park interpreter at river access areas during the day to join in on the fun! Meeting Place: Rotating River Access Areas throughout the park. 2:30 p.m. – 3:30 p.m. Clue in to Cossatot (varies) Stay for a minute or an hour –it’s up to you. Each time slot offers a different adventure just waiting to be discovered! Will it be snorkeling? skins and skulls? marvelous macros? nature crafts? Clue in and find out! All activities are free and open to all ages. Find a park interpreter at river access areas during the day to join in on the fun! 3:30 p.m. – 4:30 p.m. Clue in to Cossatot (varies) Stay for a minute or an hour –it’s up to you. Each time slot offers a different adventure just waiting to be discovered! Will it be snorkeling? skins and skulls? marvelous macros? nature crafts? Clue in and find out! All activities are free and open to all ages. Find a park interpreter at river access areas during the day to join in on the fun! 2:00 p.m. – 4:00 p.m. Clue in to Cossatot (varies) Stay for a minute or an hour –it’s up to you. Each time slot offers a different adventure just waiting to be discovered! Will it be snorkeling? skins and skulls? marvelous macros? nature crafts? Clue in and find out! All activities are free and open to all ages. Find a park interpreter at river access areas during the day to join in on the fun! To listen to the Governor's radio address, click anywhere on this line, then click the play button, or you can rad the text below. 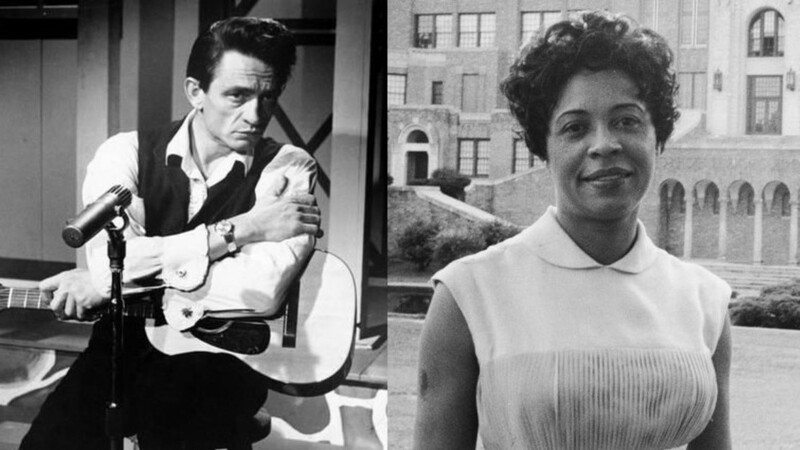 Music is a big deal in Arkansas, and Johnny Cash is a big deal in music. Those two great historicfigures who made such a difference in Arkansas in their own way are appropriate people to tell part of the story of Arkansas in our nation’s capitol. One of the last bills we passed was the amendment to the Revenue Stabilization Act. This outlines the $5.7 billion budget for Fiscal Year 2020. It includes a 2.2% increase in spending from the current fiscal year. It is the lowest amount of increased spending in Arkansas in the last 10 years. The increases include an additional $61 million for Medicaid and additional $31 million for public education. The budget also addresses public safety by increasing funding for state police to hire more troopers and funding for the Department of Community Correction to hire more parole officers. This budget includes increases for UAMS, the Division of Agriculture, and the Department of Correction. Meanwhile, legislation passed this session has reduced income taxes for more than a ½ million families in Arkansas to the tune of $97 million. We reduced taxes for business and paved a way for tax fairness with online sales tax. In addition, every homeowner in Arkansas will benefit from the $25 increase in the homestead tax credit. When it comes to infrastructure, the 92nd General Assembly passed legislation creating $95 million in additional funding. We have also referred an amendment to voters on the November 2020 ballot to create additional funding for highways. In addition to the $31 million increase in education, this General Assembly also increased the minimum starting teacher salary pay by $4 thousand over the next 4 years. Just this week, the Governor signed The Transformation and Efficiencies Act of 2019 into law. It authorizes the reduction of the number of cabinet-level agencies from 42 to 15 and accomplishes the largest reorganization of state government in almost 50 years. We passed legislation transforming our juvenile justice system. Pilot programs have shown these changes result in a lower prison population and drastically reduce the number of children in foster care. 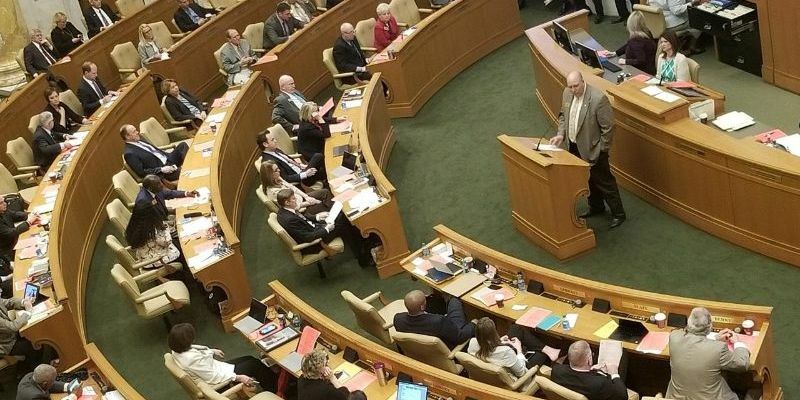 The 92nd General Assembly cut red tape for small businesses, created and funded the Next Generation 911 system, and laid the groundwork for a state of the art cancer research facility in Arkansas. The House will convene again on April 24 to address any unfinished business and officially adjourn the 2019 Regular Session. It has been an honor to serve our districts and we look forward to updating you on our work during the interim. 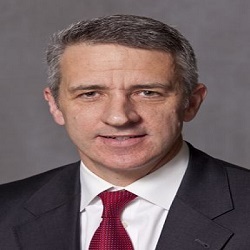 During a recent address before a Joint Session of Congress, North Atlantic Treaty Organization (NATO) Secretary General Jens Stoltenberg vividly described the two monuments that stand out front of the organization’s headquarters in Belgium. One, a piece of the Berlin Wall. The other, a twisted steel beam from the North Tower of the World Trade Center. As Secretary General Stoltenberg noted, both serve a special purpose. These monuments stand as powerful reminders for NATO members of where we have been, are going and our commitment to one another. NATO turned 70 this month. The United States and our Trans-Atlantic allies in the organization have seen the world change considerably during those seven decades. The threat posed by the Soviet Union—one of the main reasons the alliance was formed—no longer exists. However, the international community now faces the challenge of an increasingly hostile Russia in its place. When Russia illegally annexed Crimea in 2014, it carried out an alarming act of aggression that Europe hasn’t seen since World War II. Realizing that he faced little recourse for that action, Vladimir Putin stepped up his belligerent acts by arming pro-Russia rebels in Ukraine, carrying out bombing campaigns on behalf of a murderous regime in Syria and conducting cyberattacks on Western democracies. While the threat posed by a resurgent Russia reinforces the need for a strong NATO, it is far from the only concern facing the alliance. China’s expanding global influence and the aspirations of smaller rogue nations like North Korea and Iran will continue to challenge the west moving forward. Despite making great strides to eliminate ISIS, the threat posed by radical Islamic terrorists remains ever present and knows no boundaries. Amidst all these challenges, NATO stands as a very visible deterrent. When half the world’s military strength stands together, bad actors take notice. Collectively, NATO members also make up half of the world’s economic might. The bond the U.S. shares with our NATO allies extends far beyond security cooperation, as many of these nations are our most reliable and trustworthy trading partners. The strength of NATO is contingent on each and every member paying its fair share. Every member nation must meet the agreed upon defense spending levels. Secretary General Stoltenberg stressed this point during his address and this message has begun to resonate with NATO members. An additional $41 billion has been spent on defense by our European allies and Canada in the last two years alone. That number is expected to reach $100 billion by the end of the year. President Trump deserves credit for bringing about this sea change. His words to our allies that were not living up to their commitments were conveyed in a direct manner. NATO must be a fair alliance. We have accomplished a great deal together, but many challenges remain for NATO. As we mark the 70th year of the alliance, we do so with the knowledge that our friends from across the Atlantic will continue to be trusted partners who stand by each other in our hours of need. Forest managers have long known that prescribed fire used to aid with land management is an important tool to improve wildlife habitat. While many prescribed burns are conducted during the dormant season, or winter, there are benefits to extending the activity into the growing season. 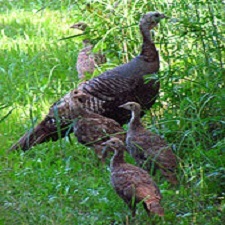 To read more of the NWTF position on springtime prescribed burning and its effect on turkey populations, log on to www.nwtf.org/prescribed-fire. To learn more about prescribed burning in general, log on to our website at http://tinyurl.com/y5nx4ang. 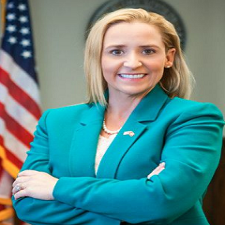 Polk County Treasurer Tanya K. Fretz has released Arkansas DFA report showing lottery ticket sales fo March 2019 in Polk County as well as the other counties in Arkansas. Statewide sales in March 2019 were $51,974,614.00. The highest sales were in Pulaski County and totaled $9,662,798.00 and the lowest sales in Montgomery County totaling $37,936.00. Sales in Polk County were $185,610.50. According to the Family Council, only about twenty cents of each dollar in the so called "education lottery" goes to scholarships. 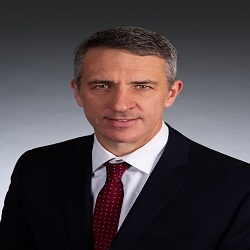 LITTLE ROCK – The legislature completed the 2019 regular session after finalizing a balanced budget of about $5.75 billion in general revenue for next fiscal year. That is about $124 million more than will be spent during the current year. The state general revenue fund is mostly generated by sales taxes, individual income taxes and corporate income taxes. The legislature enacted a trio of tax cuts. Act 182 will save Arkansas families more than $97 million a year in lower personal income taxes. It will benefit about 579,000 taxpayers with net taxable incomes greater than $38,200. Act 808 lowers property taxes for more than 716,000 homeowners, by increasing the homestead property tax credit from $350 to $375. Each year, Arkansas homeowners will save an additional $12.5 million because of Act 808. Act 822 will lower income taxes by about $57 million a year for businesses when it is fully in effect. It lowers the top rate for income above $100,000, and it extends to 20 years the carry forward period in which they can claim net operating losses. Much of the lost state revenue will be made up from sales taxes on Internet retail purchases. The act does not change sales tax rates, but clarifies that they will be collected equally from online retailers as they are collected from “bricks and mortar” stores. The legislature enacted long-term highway program. Act 146 will generate $59 million a year for the state and $12.6 million a year for both cities and counties to maintain and build roads and bridges. It levies a new wholesale sales tax on gasoline and diesel, which will result in an additional 3 cents a gallon on gas and 6 cents on diesel. The new state rate for gasoline will be 24.5 cents a gallon, and for diesel it will be 28.5 cents. In the future, increases will be limited to 0.1 percent per gallon. The bill levies additional registration fees on electric vehicles of $200 and hybrid vehicles of $100. In 2018 there were 18,777 hybrids registered in Arkansas, and 802 electric vehicles registered. Their owners paid $17, $25 or $30 to register, depending on the weight of the vehicles. Also, $35 million a year from new casino taxes will be transferred to state highway projects. The second component of the highway program will depend on Arkansas voters. The legislature referred to the 2020 ballot whether to make permanent the current temporary half-cent sales tax. Revenue from the half cent is allocated for highways. If voters approve, the half cent will generate $293.7 million a year. Cities and counties will each receive $44 million, and the state Transportation Department will get the remaining $205 million each year. If voters reject the extension, the sales tax will expire in 2023. It was approved in a statewide general election in 2012 by a margin of 58 percent to 42 percent. Minimum salaries for teachers will go up $1,000 a year in each of the next four years, thanks to Act 170. Teachers will benefit mostly in the 168 districts that now pay the minimum or slightly above it. In 67 school districts teachers are already paid more than the state minimum salary. Act 189 changes how juvenile offenders are sentenced. It’s an effort to reduce the number of teens who are sent to secure detention facilities for minor offenses. It also makes sentencing guidelines more uniform across the state. 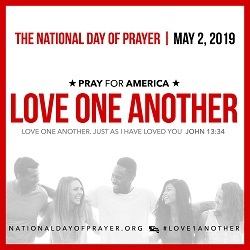 The National Day of Prayer will be observed May 2nd this year. Should it be raining, the event will be held in the First Baptist Church fellowship hall. Jodeci Ingoglia, 20 of Hatfield was charged with theft of property after officers responded to a call at a local retail store. Robert Earl Jones, 34, of Mena was charged with criminal trespass after a call to a local business. Report was taken regarding a man with a dog trespassing at several residences in Mena. Case is being investigated. Carter Cane, 54, of Mena was charged with possession of methamphetamine, possession of marijuana, and possession of drug paraphernalia. In the same incident, Shanna Kahn, 54, also of Mena was charged with possession of methamphetamine and possession of drug paraphernalia. The arrests followed a routine traffic stop. Robert Wells, 34, of Mena was charged with possession of methamphetamine or cocaine, possession of an instrument of crime, possession of a schedule VI controlled substance, and driving on a suspended driver’s license. He was additionally served an outstanding warrant. The arrest followed a traffic stop. Matthew Morrison, 29, of Mena was arrested and served with three outstanding warrants. Jesse Henry, 29, of Mena was served an outstanding warrant for failure to pay fines and court costs. He was also ticketed for having no vehicle tags. The arrest followed a traffic stop. A Mena woman reported that someone had broken into a storage shed on her property and stolen several items. Case is pending. Sarah Marissa Mitchell, 25, of Mena was arrested on an outstanding warrant from the Mena Police Department. Mikos Pierce, 19, of Mena was charged with theft of property after an incident at a local business. Zakary Cochran, 22, of Mena was served an outstanding warrant from the Mena Police Department. Report was made of a wallet having been stolen and someone using her debit card for several purchases. Case is pending further investigation and reviewing videos from a local business. A local woman reported that she is being harassed by her grandchildren’s father. Case is pending. A Mena woman reported that someone had stolen her checkbook. After an investigation, the wallet was located at a local grocery store. No suspect is known. A 16-year-old Mena youth was charged with theft of property and disorderly conduct after officers responded to a call at a local retail store. More arrests may follow. Michael Reding, 56, of Mena was charged with possession of a controlled substance. The incident followed a call to a local storage facility. Michelle Diane Bice, 40, of Mena was served and outstanding warrant from the Montgomery County. Gary D. Smith, 41, of Mena was charged with possession of a schedule VI controlled substance. A local woman reported that someone had stolen an air conditioner from her property. Case pending location and interview of suspect. The following information was received from Polk County Sheriff Scott Sawyer for the week of April 1 - April 7, 2019. The charges against those arrested are allegations and the cases are still pending in the courts. Individuals charged and whose names appear in this column may submit documentation to us at a later date that the charges have been dismissed or that they have been found innocent and we will include that information in this space in a timely manner. Report from complainant on Highway 71 South in Wickes of missing property. Deputy responded. The property was located and returned to the owner. 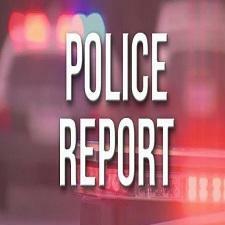 Report from complainant on Polk 90 near Acorn of unauthorized persons on their property. Deputy advised subjects to not return to the property. Request from walk-in complainant for deputy to dispose of suspected illegal contraband. Report from complainant on Polk 1 near Grannis of being threatened by an acquaintance. Information has been forwarded to the Prosecuting Attorney’s Office for further consideration. Report from a Polk County official of several fraudulent checks. Investigation continues. Arrested was Erica May, 28, of Mena, on a Warrant for Theft by Receiving. Report from a Cove woman that her 17-year-old daughter was missing. Deputy responded. Report from complainant on Polk 22 near Cove of an outbuilding on fire. Deputies responded. Report of a disturbance on Polk 87 near Ink. Deputies responded. Arrested was Brennan D. McMillan, 18, of Mena, on a Drug Court Sanction. Report from a Mena man of being harassed by an acquaintance. Deputy advised the suspect to cease all contact. Request for a welfare check on an individual on Polk 92 near Shady Grove. Deputy responded. Report of a one-vehicle accident on Highway 375 East near Mena led to a 17-year-old male being issued Juvenile Citations for DWI and Minor in Possession of Alcohol. The juvenile was released to the custody of a parent/guardian. Report from complainant on Polk 42 near Potter of problems with a family member. Deputy responded. Report from a Cove woman of problems regarding custody of a juvenile. Arrested was Shannon L. House, 52, of Grannis, on two Warrants for Failure to Comply with a Court Order. Arrested was Jeremy M. Youngdahl, 42, of Cove, on a Warrant for Failure to Comply with a Court Order and a Body Attachment Warrant. Polk County Sheriff’s Office worked four vehicle accidents this week. Polk County Detention Center Jail Population: 25 Incarcerated Inmates , with 9 Inmates currently on the Waiting List for a State Facility. 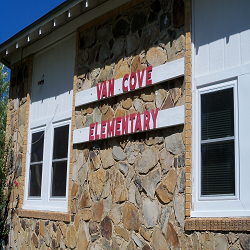 The Van-Cove School Alumni will meet Thursday, April 11, 2019 at 6:30 p.m. at the old elementary school building (156 School Street in Cove). 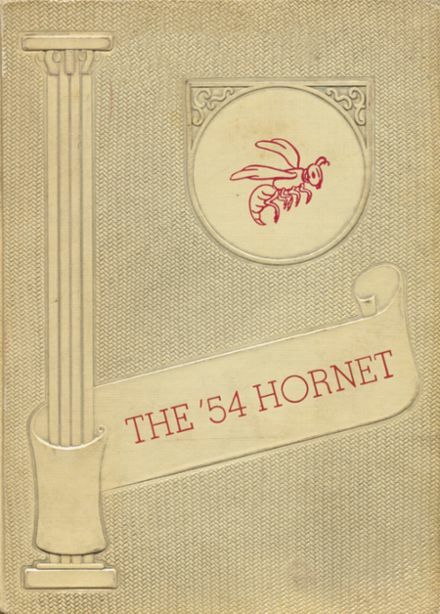 There will be many pieces of school memorabilia on display, one dating back to 1933! Everyone is invited to attend. Be watching for grand opening information of the permanent display and school museum! For more information, contact Glen Pate at (479) 216-8698. 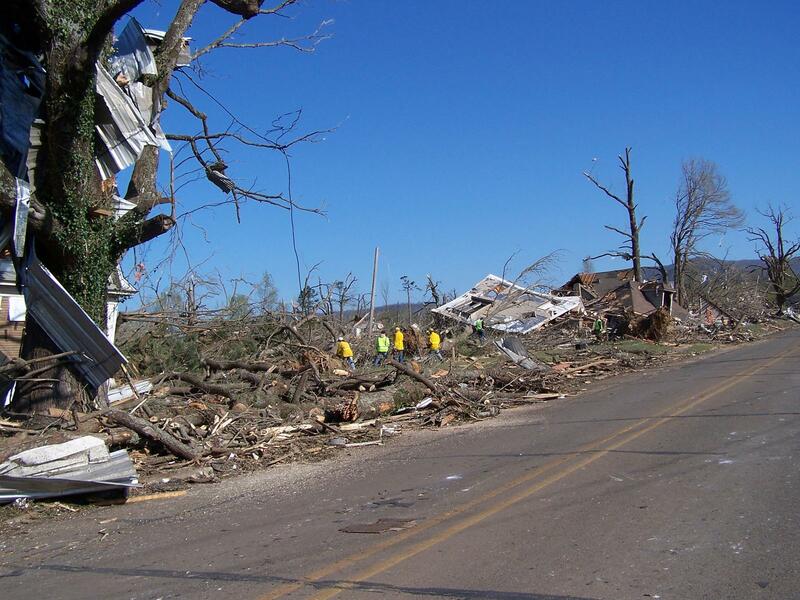 At 7:24 p.m. on April 9, 2009, a tornado warning was issued for areas north of Mena in Polk County, Arkansas, then at 8:01 p.m. the warning extended into Mena. Nine minutes later, a tornado struck the city and killed three people. 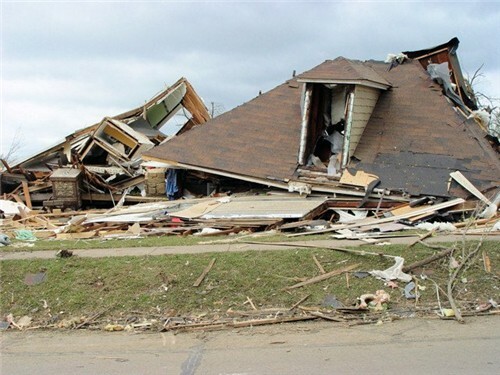 Thirty people were injured and 600 homes were either damaged or destroyed. The Polk County Jail was severely damaged to the point that minor offense prisoners were released, with serious offenders taken to jails around the area. 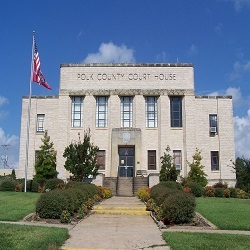 The Polk County Courthouse received damage after a radio tower fell over onto part of the building, damaging the roof. The Mena Regional Health System also sustained damage, but continued to treat patients and ran off auxiliary power. 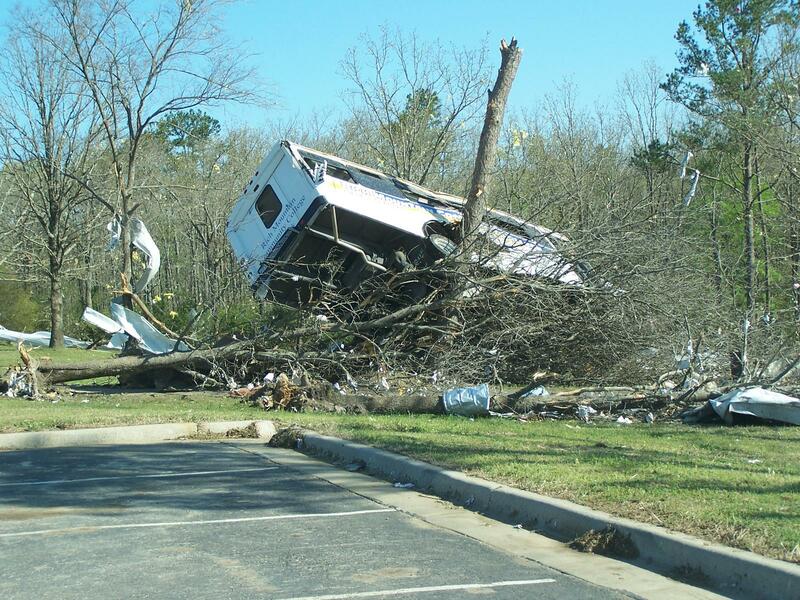 The high winds from the tornado threw a bus into a tree at the community college. The roof at the Mena Middle School was significantly damaged, with part of the gymnasium roof ripped off and a portable classroom was destroyed. The damage to the middle school was so severe that it had to be condemned. 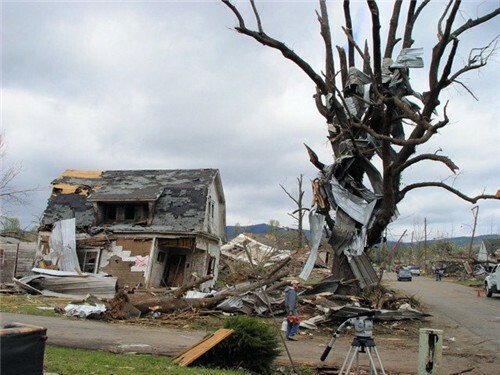 The tornado also heavily impacted Rich Mountain Community College (now University of Arkansas at Rich Mountain) and destroyed two businesses at the city's industrial park. The tornado that hit Mena was rated EF3 by the National Weather Service in Little Rock, Arkansas. Volunteers from local and surrounding area fire departments, local law enforcement officers, and countless civilians began immediately to look for injured, assess damage, clear streets of downed trees, prepare food for workers, open homes, businesses and churches to shelter the homeless and those without power, and the work continued for months. By the next morning advance teams from faith based organizations and government agencies were in Mena to start what seemed like and insurmountable task. But Mena residents stood side by side, and with the help of many people from all over the United States, accomplished much. Areas of Mena will never look the same. Tens of thousands of trees were lost. Whole blocks of homes suddenly became vacant lots with only debris as a reminder that once a family mowed the lawn, played baseball, cooked out. Red Cross, FEMA, Samaritan's Purse, and even media representatives commented about the spirit of volunteerism and of the resolve of the people of Mena. Yes, it was a horrible tragedy, but in many ways brought out the best in a good people. To listen to Governor Hutchinson's radio address, click anywhere on this line, then click on the play button, or you can read the text below. LITTLE ROCK – During a visit two years ago with President Trump at the White House, I took the opportunity to stress the importance of global trade to Arkansas’s economy. At the time, the president was negotiating with Canada and Mexico for a modernized NAFTA agreement that wasmore fair to the United States. The president never gave up on this issue, and late last year, he led the way as the United States, Mexico and Canada signed a new agreement. The new agreement is known as the United States Mexico Canada Agreement, or USMCA. The pact will replace the North American Free TradeAgreement, or NAFTA. We can’t know for sure the harm the state would suffer without an agreement but the loss in trade and jobs would be significant. The numbers show the benefit when we can freely and fairly export to our North American partners. Canada is Arkansas’s largest trading partner. Our neighbor to the north imported more than $1.2 billion worth of Arkansas products in 2018. That is almost 19 percent of our total exports. Mexico, our second-largest partner, imported nearly $900 million worth of our goods last year. Combined, our exports to those two nations in 2018 was a little more than 32 percent of our state’s total exports, which was $6.5 billion. To put that in perspective, you have to add the imports of the next eight countries to match the money our two North American neighbors spent buying our goods and products last year. Agriculture is our No. 1 industry, and Mexico and Canada are our top agriculture customers. Between them, Mexico and Canada buy $500 million worth of agriculture products from Arkansas. Mexico buys $1.2 million worth of Arkansas eggs, $103 million worth of poultry, and $42 million worth of rice. Canada buys $62 million worth of Arkansas rice, $44 million worth poultry, and $22 million worth of eggs. But it is more than agriculture. It is about our auto parts industry, our aero defense products, and jobs created in a wide variety of industry. Seventeen Canadian companies employ 2,800 workers at 30 facilities in our state. Mexico’s companies employ approximately 2,100 people at 14 facilities. We can’t overemphasize the importance of the free flow of commerce between our North American neighbors. I have written our Senate leadership and asked them to ratify this trade agreement, which is so important to Arkansas. Members will be reviewing RSA in the Joint Budget Committee Monday morning. We have posted details of the proposed budget on our website. We expect to vote on the budget next week and conclude our business for this session. This week, the House passed two proposed constitutional amendments for the November 2020 ballot. SJR15 addresses term limits for legislators. This amendment would limit state legislators elected after January 1, 2021 to 12 years of consecutive service. Those legislators would not be eligible for subsequent service in the General Assembly until four years after the expiration of the last term in office. The House also passed HJR1008. If passed by the voters, HJR1008 would increase the vote requirement to a 3/5 majority for the General Assembly to refer future amendments. Currently, it takes a simple majority on the first two amendments and a 2/3 vote to introduce a third a proposal. SB576-This bill requires out of state online retailers to collect and remit state sales tax. The bill also phases in a reduction in the top corporate income tax rate from 6.5% to 5.9%. It extends carry-forward period for net operating losses for businesses from 5 years to 10 years. SB576 changes the apportionment formula for corporations and also makes changes to taxes for carwashes. HB1933-This bill address bullying in several ways. It requires parents of the victim of bullying be notified as soon as reasonably practicable. 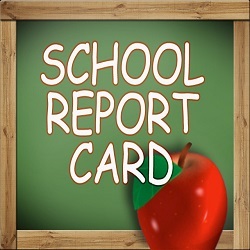 It requires schools to investigate and write a report on the complaint within 5 school days. The bill also requires the school notify the parent or legal guardian of the student who is determined to have been the perpetrator of the incident of bullying. HB1821-This bill requires DHS to implement an increase in Medicaid reimbursement rates for medical providers to address minimum wage increases. HB1417-This creates the Arkansas Major Historic Rehabilitation Income Tax Credit for projects worth more than $1.5 million. This bill creates the qualifications for the tax credit but does not provide funding. HB1837-This bill expands access to association health plans to allow more small businesses to band together to purchase insurance. HB1733-This bill makes threatening to commit an act of mass violence on school property a Class C felony. HB1945-This provides needed changes to have the Arkansas Online Insurance Verification System implemented by January 1, 2020. This system gives law enforcement access to real time information regarding proof of insurance. SB492-This allows cities in wet counties to pass an ordinance creating a temporary or permanent designated entertainment districts. SB584. This bill requires the Department of Finance and Administration to provide space on income tax forms to designate more than one account for the direct deposit of the taxpayer’s refund. HB1890-This bill would require the Department of Education to establish in standards for accreditation the maximum number of students that a teacher in grades 5-12 is permitted to teach per day. HB1928-This bill requires an audio recording to be made of all public meetings. Exceptions are made for volunteer fire departments, cities of the second class and incorporated towns. We will continue to update you through the remainder of the session. You can watch all House proceedings at www.arkansashouse.org. The Senate recently adopted changes to make the body more efficient and improve its ability to fulfill one of its constitutional obligations: providing our advice and consent to the administration in order to fill the executive branch positions that require Senate confirmation. In years past, the confirmation of presidential nominees has highlighted the ability of senators to work together and approve nominations when an individual is clearly qualified. Despite the fact that the country is best served by timely confirmation of the president’s nominees, the Senate minority has engaged in historic obstruction for more than two years. This has prevented the ability of President Donald Trump to fully staff federal agencies and confirm his nominees. In order to respond to the needs of our country, our federal agencies must have the leaders in place to support the administration and serve the needs of all Americans which these federal departments exist to do. When you change presidents, you also change personnel in federal agencies. That means processing more than one thousand nominations for executive branch positions. This is in addition to the confirmation of judges to fill vacancies within our federal courts. Unfortunately, there has been an ongoing effort to hinder the ability of the president to fully staff federal agencies and confirm his nominees to the federal bench. The rules of the Senate ensure there is ample time to vet and discuss individuals nominated to serve in these important positions. Traditionally the debate time of noncontroversial nominees is minimal, but President Trump’s nominees have moved at a glacial pace through the Senate because the minority is running out the clock on nearly every nomination, even those with broad, widespread support. For example, despite the unanimous support among members of the Judiciary Committee, the Senate spent more than an entire week considering four district court judges on the floor, where they eventually received support from every senator for their confirmations. This is obstruction purely for the sake of obstruction. It ultimately harms the reputation of the Senate as well as the federal departments, agencies and courts where these nominees could already be serving on behalf of the American people. What we’ve experienced in terms of being able to confirm nominees to sub-cabinet level positions is unprecedented. Over the last two years, Democrats have abused procedures to delay votes on 128 of President Trump’s nominees. In comparison, the first two years of President Obama’s time in office, this only happened 12 times. If you add this to the cloture votes for the first two years of Presidents George W. Bush and Clinton, it’s a total of 24. In early April, the Senate took steps to restore the tradition of timely consideration and confirmation of the president’s nominees by reducing debate time. The rule change is similar to the standing order that was approved by senators during a Democrat-controlled Senate in 2013. This new precedent will still allow lengthy consideration of cabinet-level nominees and those nominated to fill seats on the Supreme Court and federal appeals courts. Eliminating the ability to delay confirmation of a nominee that most, or sometimes even all, senators eventually vote to support is important to restoring fairness and productivity in the Senate. Timely consideration of executive branch nominees improves efficiency and ultimately holds the administration more accountable to the American people. LITTLE ROCK – Scammers are posing as employees of legitimate and trusted businesses such as pest control, lawn care or alarm companies in an attempt to steal personal information from Arkansans. The caller tries to set up an in-home appointment or confirm personal information in hopes of gaining access to credit card numbers, social security numbers or bank account information. This is a scam, and Arkansans should hang up immediately. These callers may request to be contacted only at the number provided instead of the company’s general number. These scammers know your name but try to gather other personal information. Be mindful that scammers can spoof the caller ID to suggest they are calling from the trusted company when they are not. Do not trust the caller simply because they have personal information. Do not verify information or give out personal banking or similar information because it could lead to identity theft. If you have been a victim of identity theft, close accounts that have been tampered with or fraudulently opened, and file a complaint with the FTC. The Attorney General’s office also offers an ID Theft Passport to help victims reestablish their good name, which requires that consumers first file a police report for financial identity theft. Act 677, to increase the penalties for telemarketers who scam telephone customers, passed easily in both chambers and awaits the governor’s signature. It prohibits robocalls, which are recorded phone calls automatically generated by computers. The bill makes it a felony for telemarketers to disguise their identities. Using a process known as “spoofing,” scammers deceive telephone’s caller ID function so that fake numbers appear up when your telephone rings. Often, the number looks familiar to those that you commonly call, so you’re more likely to answer. 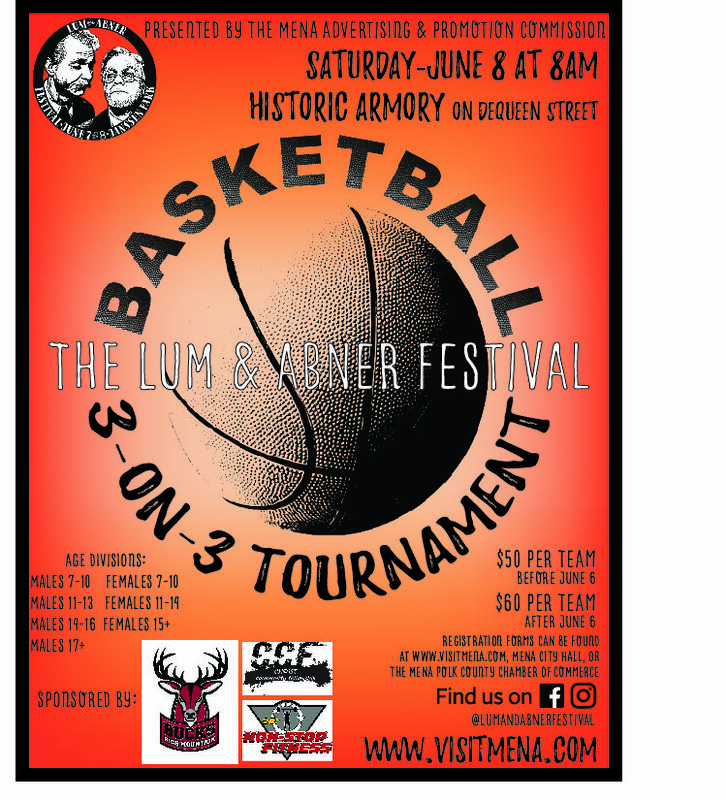 The City of Mena Arkansas invites you to a fun weekend of cleaning up our town and helping our neighbors. On the weekend of April 27th and 28th get outside with your family and friends to show your love for our great town! 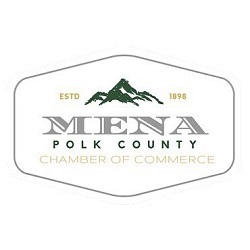 Clean Up Mena works in partnership with the City of Mena’s annual Spring Clean-Up scheduled to begin Tuesday, April 30, 2019. Click here for guidelines for street pickup. 8:00 AM – Meet at The Crossing for team assignments & final instructions. 8:00 AM – Meet at The Crossing for final instructions. For more information, click here to visit the Clean Up Mena website. The annual Spring Clean Up will follow starting April 30th. Details below. 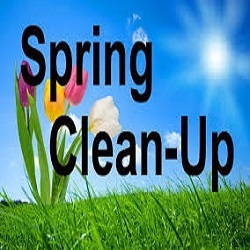 The City of Mena Annual Spring Clean-Up is scheduled to begin Tuesday, April 30, 2019. City trucks will pick up items you want to dispose of at no charge. This Clean-up service is free for residences within the City limits of Mena only. Materials will not be picked up unless they are placed at the curb-side and separated. Street Department crew and equipment will not go onto private property to move or aide in moving items. IT IS VERY IMPORTANT TO SEPARATE ANY ITEMS THAT YOU WANT TO KEEP AWAY FROM THOSE THAT ARE TO BE DISCARDED (such as trash cans). The following items cannot be picked up: concrete, brick, rocks, dirt, shingles, batteries and construction debris. Note – It is required that all yard debris such as small limbs, gum balls and leaves be placed in garbage bags. The Mena Street Department will begin pick up in the Northwest part of the city and work their way across town following the same routes as Southern Disposal. Trucks will run 1 to 3 days after the day of your normal trash pick-up. The response to this Clean-Up is usually overwhelming, so please be patient if the trucks are running somewhat behind the posted schedule; however, each route will only be covered one time. 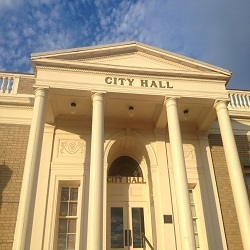 It is not necessary to call City Hall in order to receive this service. 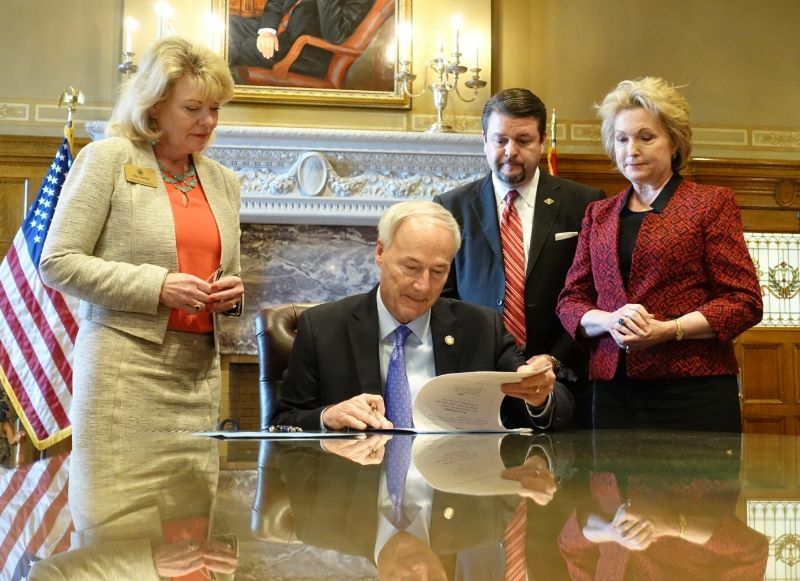 LITTLE ROCK – Arkansas Attorney General Leslie Rutledge today joined Arkansas Governor Asa Hutchinson for his bill-signing ceremony for two important pieces of legislation. The robocall legislation creates a process for state oversight of telecommunication providers and increases the penalty for robocallers and spoofing. Meanwhile, the Farm Machinery Quality Assurance Act, a bill which Rutledge helped to guide and support, establishes a “lemon law” type protection for consumers purchasing new self-propelled farm machinery and equipment. “Arkansans are eager to stop the incessant robocalls and scams,” said Attorney General Rutledge. “The unopposed, bi-partisan support of this new law creates a path for enforcement to hold the bad actors accountable. Both pieces of legislation were passed by the General Assembly last week. The Mena/Polk County Chamber of Commerce will hold its Membership Appreciation Banquet on Tuesday, April 23rd, at the University of Arkansas Rich Mountain Ouachita Center. This year’s banquet theme is “Masquerade at the Comedy Club.” The event will begin at 6:00 p.m., with dinner at 6:30 p.m., and the program to follow. A delicious dinner will be catered by Papa’s Mexican Café with 385 Events providing lighting and sound to bring the evening alive. Comedian Byron Trimble will provide entertainment for the event. Trimble’s high energy and hilarious blend of comedy and music are sure to deliver a great show. The auction items are incredible again this year. There is an Eric Church concert package and Chris Stapleton tickets, overnight stays in our beautiful state parks and area accommodations, gift certificates to local businesses, and much more. Proceeds from the auction benefit the Mena/Polk County Chamber of Commerce Scholarship Fund. During the program, the Chamber will be honoring Chamber Members who have gone above and beyond during the year. An awards presentation will be presented by the Chamber for the following awards: Volunteer of the Year, Citizen of the Year, Best New Construction, Best Renovation/Beautification, and Business of the Year. Chamber Director, Ashley Smith, says, “Last year's banquet was a huge success, and it is always difficult to top an event that went so well. However, we think we have done it! Our board members and staff have been working very hard to organize an evening that will wow our guests and we hope that everyone makes plans to come and celebrate with us." The entire community is invited and you do not have to be a Chamber Member to attend the celebration. Tickets may be purchased at the event but, to insure seating, advanced ticket purchase is encouraged. Tickets are $35.00 per person for members, $40.00 for non-members, and tables for eight may be reserved for $300.00. For tickets, table reservations, or additional information, please contact the Mena/Polk County Chamber of Commerce at (479) 394-2912. State of Arkansas Vs. Gary D. Collier, W/M, age 58, Count I: Failure To Appear, a Class "D" Felony. Count II: Failure To Appear, a Class "C" Felony. Count III: Failure To Appear, a Class "C" Felony. State of Arkansas Vs. Robert Wells, W/M, age 31, Count I: Driving On Suspended License, an Unclassified Misdemeanor. Count II: Possession Of A Schedule II Controlled Substance, a Class "D" Felony. Count III: Possession Of Drug Paraphernalia, a Class "D" Felony. Count IV: Possession Of A Controlled Substance, a Class "A" Misdemeanor. State of Arkansas Vs. Shanna G. Kahn, W/F, age 54, Count I: Possession Of A Schedule II Controlled Substance, a Class "D" Felony. Count II" Possession Of Drug Paraphernalia, a Class "D" Felony. Count III: Possession Of A Controlled Substance, a Class "A" Misdemeanor. State of Arkansas Vs. Carrie Carter, W/F, age 54, Count I: Possession Of A Schedule II Controlled Substance, a Class "D" Felony. Count II: Possession Of Drug Paraphernalia, a Class "D" Felony. Count III: Possession Of A Controlled Substance, a Class "A" Misdemeanor. 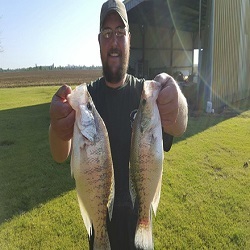 This is the Arkansas Game and Fish Commission’s fishing report for April 3, 2019. If there is a body of water you would like included in this report, please email AGFCfishingreport@outlook.com with information on possible sources for reports about that lake or river. Reports are updated weekly, although some reports might be published for two weeks if updates are not received promptly or if reporters say conditions haven’t changed. Contact the reporter for the lake or stream you plan to fish for current news. For the accurate time, official Mena temperature, and local weather forecast, dial (479) 394-5600. For more weather, visit KAWX.ORG. 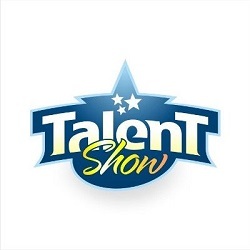 The Acorn High School Music Department will be hosting their Acorn’s Got Talent Show on Thursday night April 11, 2019 at 7:00 p.m. in the new cafetorium. 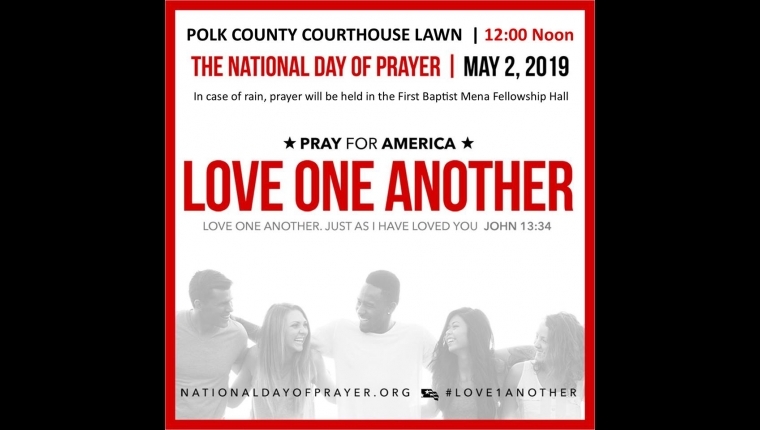 The event will feature vocal, instrumental, and lip sync acts from students at Acorn High School, as well as performances by teachers and staff. The money raised at the door will go to the Cherie and Michael Magness family for medical expenses. The cost is $3 per person to enter. In addition, chances will be sold on a discovery flight over Mena donated by Priority Aviation. Going to be a great evening so come out and join us! 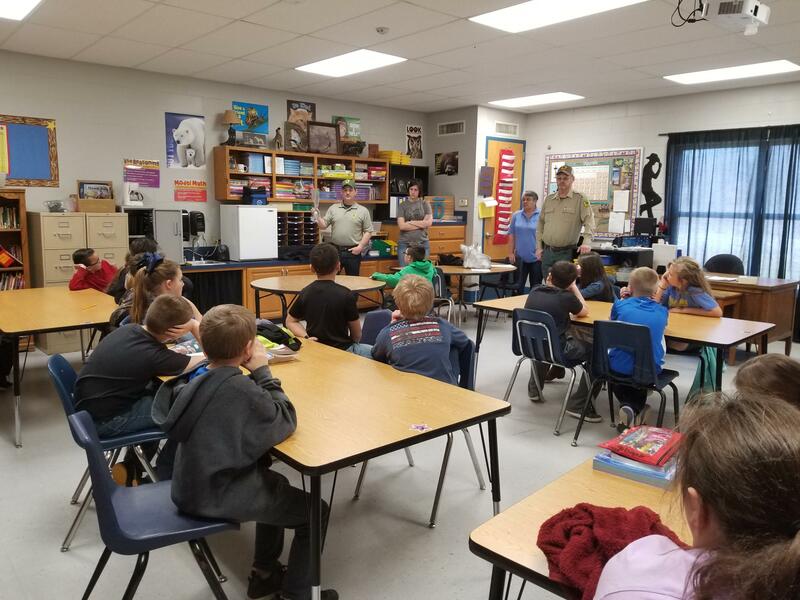 The Rich Mountain Conservation District (RMCD), the Arkansas Forestry Commission (AFC), and the Natural Resources Conservation Service (NRCS), teamed up again this year to visit fourth graders in Polk County schools to educate them about Arbor Day and the importance of trees. 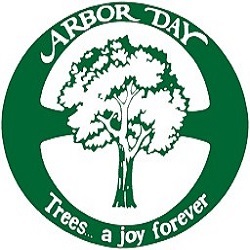 In Arkansas, Arbor Day is held the 3rd Monday in March. It is a day to encourage people to plant and care for trees. Students were able to learn the importance of pine trees in our community, how to choose a planting location, and how to successfully plant a tree. Each fourth-grade student from Wickes, Vandervoort, Acorn, and Mena elementary was given a Shortleaf pine tree to take home and plant. Vandervoort 4th grade students with (back row): Danielle Frachiseur, Haylie Dobbs, Mary Holland, Justin Mallett, Jerry Huff. 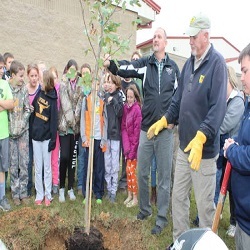 Some of Wickes 4th grade students helping Justin Mallett (AFC) plant a Pin Oak on school grounds. Acorn elementary 4th graders listening to Jerry Huff (AFC) tell why trees are important. Mena 4th grade listens to Danielle Frachiseur, Haylie Dobbs, Jerry Huff, and Jody Miller talk about how Arbor Day began and how to plant their tree. LITTLE ROCK (4-1) – Arkansas Highway Police, a division of the Arkansas Department of Transportation (ARDOT), welcomed 25 new officers on Friday, March 22. The new officers recently completed an 11-week training course and are now ready to fulfill their sworn duties. The following individuals are graduates of Class 12 of the Recruit Training Program: Austin Ardwin, Lander Austin, Conor Bumpus, Malcom Cambron, Ronnie Carr, William Cash, Matthew Clairday, Richard Drum, Tanner Drummonds, Kevin Dunkerson, Jennifer Evans, TJ Frachiseur, Mitchell Hall, Bobbie Hickman, Kory House, Corey Huckabee, Bruce Jackson, Jr., Dillion McGee, Matthew McGrew, Philip Roberts, Jonathon Seaver, Robert Spaulding, Scotty Stewart, Paul Thorne, and Austin Wheelis. Shown is Frachiseur with his son and wife at the graduation cermony. 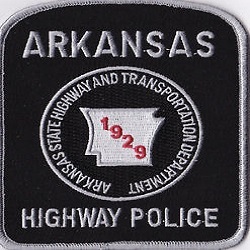 The Arkansas Highway Police is a nationally recognized leader in the fields of drug interdiction, motor carrier safety and hazardous materials enforcement, and training. Highway Police officers serve as instructors for the Criminal Justice Institute, National Training Center, Transportation Safety Institute, and the Drug Interdiction Assistance Program. The City of Mena Annual Spring Clean-Up is scheduled to begin Tuesday, April 23, 2019. City trucks will pick up items you want to dispose of at no charge. 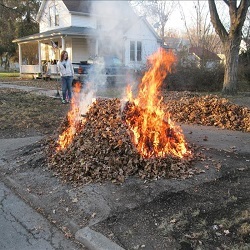 Now that Spring has sprung and citizens are out doing their Spring yard work the Mena Fire Department would like to take this opportunity to remind the citizens of a few recommendations, laws, and fire safety tips when conducting controlled burns within the city limits of Mena. We encourage citizens to take advantage of the upcoming Spring clean up for city residents scheduled to begin April 23rd. This could be a safer option for many folks that may be considering conducting controlled burns of their yard debris (leaves and limbs). For those that recently moved here or do not know, open burning of organic material is allowed in most of the city limits of Mena. The Arkansas State Air Pollution Control Regulation: Section 18.6(B) Prohibits the open burning of waste materials. Specifically it states that: No person shall cause or permit the open burning of refuse, garbage, trade waste, or other waste material, or shall conduct a salvage operation by open burning. Household trash, tires, construction and demolition waste (including lumber and/or wood), etc. are considered waste materials and cannot be burned according to state law. The City of Mena Fire Department adheres to these regulations and those of the Arkansas Fire Prevention Code. If you plan on burning yard debris in the city limits of Mena we ask that you call the Mena Fire Department and let us know. We could advise you if there was a county wide burn ban in effect or the weather condition may be unfavorable for burning. Unknown to many, there is a part of the downtown commercial district that is referred to as the fire zone where no open burning is allowed. By providing us your address we could advise you if you were in this area. If your having a recreational fire, bonfire or conducting a controlled burn take the necessary precautions to prevent the spread of fire by clearing out around the area where you are burning. Have water or a portable extinguisher available for immediate utilization. Keep in mind that if your controlled burn was to get out you could be held liable for the damage to your neighbors property. Controlled burns must be at least 25-50 feet from any structures and should be attended until the fire is extinguished. The fire department is authorized to order the extinguishment of open burning that creates or adds to a hazardous or objectionable situation. Be courteous of your neighbors as they may have respiratory issues and can be adversely affected by smoke produced even by organic materials. It is recommended that controlled burns not be conducted after dark but is not unlawful. Often times we receive calls from neighbors or passersby of a fire out of control simply because they can not see you in the dark in attendance with your controlled burn. Never use gasoline to ignite your control burn, bonfire, or recreational fire. Never throw aerosol cans or batteries in to a fire. Be cautious to not fall in to the fire and always watch out for the safety of children around controlled burns. To report a controlled burn in the Mena City Limits call 479-394-1234. To report a controlled burn out of the city limits call 479-394-2511. To report an emergency call 9-1-1. The following information was received from Polk County Sheriff Scott Sawyer for the week of March 25 - March 31, 2019. The charges against those arrested are allegations and the cases are still pending in the courts. Individuals charged and whose names appear in this column may submit documentation to us at a later date that the charges have been dismissed or that they have been found innocent and we will include that information in this space in a timely manner. Report from complainant on Highway 8 East near Nunley of an unauthorized person on their property. Investigation continues. Report of an earlier disturbance on Polk 56 near Nunley. Information has been forwarded to the Prosecuting Attorney’s Office for further consideration. Report from complainant on Polk 718 near Mena of damage done to a cable line by an unknown person. Deputy advised complainant of legal options. Report from a Cove woman that her 14-year-old son had walked away from home. The juvenile was later located and returned to the custody of a parent/guardian. Report from another law enforcement agency that stolen property was located in Polk County. Investigation continues. Report from complainant on Polk 18 near Wickes of a missing license plate. Juvenile Citations for Possession of a Controlled Substance and Public Intoxication were issued to a 14-year-old male. The juvenile was released to the custody of a parent/guardian. Report of a break-in and theft at a storage unit in Hatfield. Investigation continues. Arrested was Robert H. Williams, 43, of Mena, on a Warrant for Failure to Comply with a Court Order. Report from Mena Regional Health System of a dog bite victim. Deputy responded. The owner was advised to quarantine the animal for ten days. Report from complainant on Polk 119 of the theft of firewood. Investigation continues. Report from complainant on Polk 231 near Cove that an individual refuses to return a vehicle to the owner. Investigation continues. Report of an outbuilding on fire on Highway 88 East in Cherry Hill. Deputy responded. Report from complainant on Polk 130 near Rocky of an unauthorized person on their property. Deputy responded. Investigation continues. Arrested was Gary D. Collier, 58, of Hatfield, on a Warrant for three counts of Felony Failure to Appear. Report of a one-vehicle accident on Highway 246 West near Hatfield. Deputies responded. Investigation continues. Report from complainant on Polk 62 near Board Camp of an animal that had been shot. Information has been provided to the Prosecuting Attorney’s Office for further consideration. Report of a structure fire on Treasure Lane near Acorn. Deputy responded. Report of an unattended death on Polk 52 near Mena. Deputy responded. Report from complainant on Stevenson Drive in Wickes of problems concerning neighbors. All parties were advised to cease all contact with one another. Report from complainant on Polk 280 near Cove of a missing animal, believed to be stolen. Report of a disturbance on Polk 11 near Wickes. Subject left the residence before the deputy arrived. Subject was later advised to cease all contact with complainant. 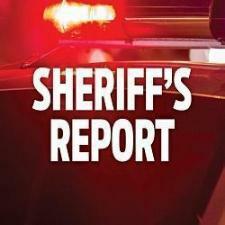 Report from complainant on Polk 164 near Rocky of a break-in that caused damage to a door. Investigation continues. Report of a domestic disturbance on Highway 71 South in Cove. Deputies responded. Polk County Detention Center Jail Population: 13 Incarcerated Inmates , with 7 Inmates currently on the Waiting List for a State Facility. Jason D. Rosson, 37, of Mena was charged with disorderly conduct after an incident at a local business. A Mena woman reported that someone had stolen property from her. Case is pending further investigation. Bryan Alan Russell, 37, of Mena was served an outstanding warrant. Report was taken concerning a young child who had wandered away from his guardians while they slept. After notifying DHS employees, the child was returned to the custody of the guardians. Officers conducted a traffic stop concerning exceeding the speed limit. During the stop, several items of contraband drugs and paraphernalia were located. The case was sent to the prosecuting attorney’s office for issuance of a warrant. A local woman reported that she is being harassed and followed by an unknown individual. Case is pending further information. A Mena woman reported that she is being harassed by her former husband. Case is pending location and interview of suspect. Officers were dispatched a local residence regarding an altercation between a divorced couple regarding visitation. No charges have been filed at this time. Officers responded to a call regarding a man walking down the middle of Highway 71. The man was located and cautioned not to walk in the highway. No charges were filed.